You deserve a home that tells your story. Land To Farm. A Short Commute. A Hidden Homestead. Kevin and Jae knew that for their home to be perfect, they’d need plenty of land and for them to create a vegetable garden. While it was important to not be too far away from Ann Arbor, they wanted privacy and a place they could host for their friends and family. Kevin: Very specific things you wanted (laughs). Jae: I didn’t want to see my neighbors. I wanted a house where I felt that even if they were nearby, I couldn’t see them. I wanted space enough for a big garden. In the spring when we were walking around, that's when I saw the garden space. I knew this would be the perfect spot. 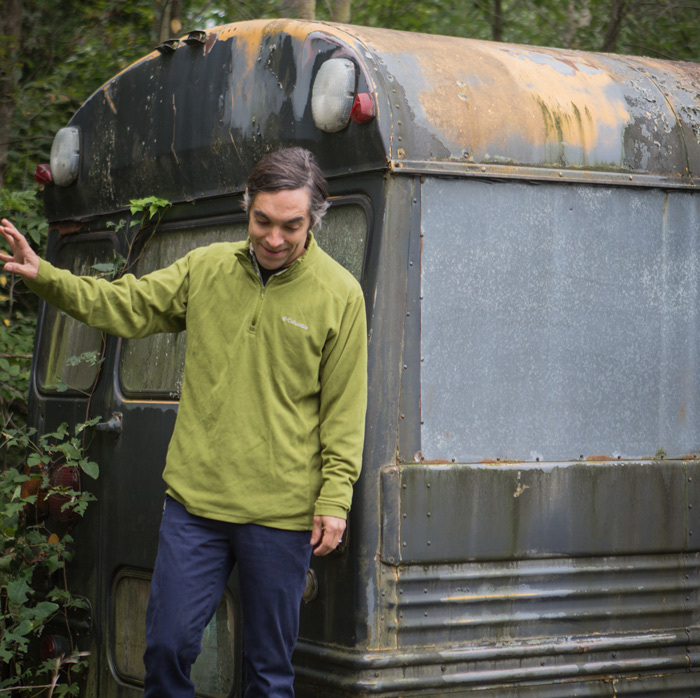 Kevin: One of the things I was most excited about was the bus that came with the land. I'm very excited to renovate it and turn it into a little party bus. That's what it's gonna be. Jae: We decided to look for a house after we got married (laughs). The Linda Lom Team was recommended to us. Right away we knew that they were going to be the best fit for us in terms of a realtor. Kevin: Especially Kathy. Right away, the second time she showed us a house she gave us hugs. I was like, "Alright, this is our lady. This is gonna work." The whole Linda Lom team was like that from beginning to end. When we drove up the driveway here – you can't even see the house from the road. Right away we were like, "Yeah. We're home." Jae: With this house, it's just the wind and the leaves and the trees. Kevin: There's like a stand of pine trees behind the house. Just being able to have something like that on my land is super exciting. Jae: The best thing about working with Kathy and the Linda Lom team was how they made us like family. During the process, after the process. They became our friends. They worked for us like they were working for their own family members in finding a house for us that we loved. We get it, and we can help. Schedule a call with the Linda Lom Team today.